Argentina is an adventurer’s dream. This South American nation is categorized as a megadiverse country, serving environments ranging from subtropical to polar. What this means for expats is that there is literally something for every traveler’s taste. Love good food and drink? Set your sights on Mendoza, the country’s scenic hub for olive oil and wine production. Looking for a metropolitan buzz? The capital city of Buenos Aires is calling your name. Seeking perspective among the awe-inspiring natural world? 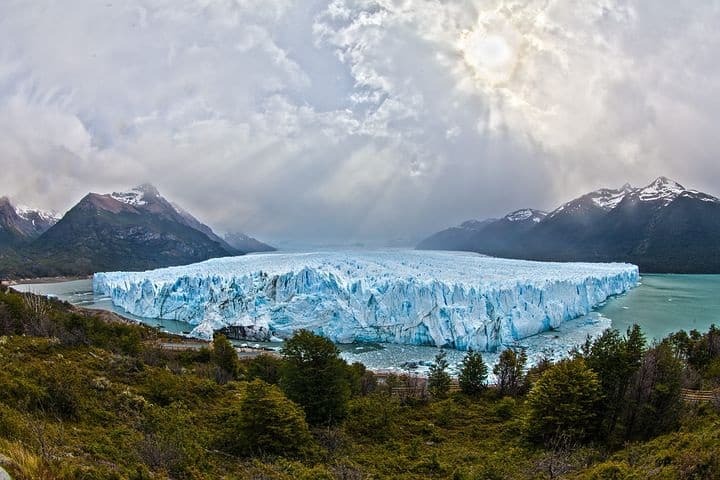 Visit the Perito Moreno Glacier, the nearly 100-square-mile ice field in Argentina’s famed Patagonia region. In terms of the diversity of its offerings, Argentina is one of the most magical places on earth – evidenced by the millions of foreigners who’ve decided to make the country their new home. Because of its diverse array of climates and topography, many people travel to Argentina to get off the grid and explore the more remote areas of the Andes and Patagonia. However, the largest concentrations of foreigners are in the major cities. Below, are three of the most popular locations for expats in the country. Argentina’s capital, Buenos Aires has often been referred to as the Paris of the West. In the 1900s, European immigrants arrived in record numbers to the region. As a result, Buenos Aires has been perhaps the primary cultural center in all of South America. Italians and Spanish migrants brought their art, architecture, food, and music to Argentina, turning Buenos Aires into a vibrant sequel to the Old World – and this European presence is still strongly felt today. Expect great food, vibrant nightlife, and art that ranges from Bohemian street performers to Italian opera. Mendoza is a wine lover’s paradise. Few regions west of the Atlantic carry as much clout in the world of grape vines as Mendoza. Cradled in the basin of the Andes mountains, Mendoza will satisfy any gourmand’s palate with a South American flair. If the city life of Buenos Aires is a bit too hectic, the vineyards around Mendoza could be the perfect place to unwind with a glass of Malbec. The city itself is decidedly less buzzing than the nation’s capital, instead providing a more laid-back and easygoing atmosphere. What’s great about Mendoza is that when you need a respite from the city or the vineyards, you’re only a short jaunt away from truly explorative adventure in the Argentine Andes. Cordoba is the education hub of Argentina, full of young university and foreign-exchange students. The National University of Cordoba is located here, with many other institutions of learning present as well. The city is similar to Mendoza in vibe, much more academic and “local” feeling than the throngs of city-center Buenos Aires. If you’re looking for a university town with mountain backdrops and European charm, Cordoba may be for you. Patagonia is South America’s sprawling natural wonderland. Making up the southernmost tip of the continent, the Andes mountains separate Argentine Patagonia from Chilean Patagonia. The Argentine side is characterized by grasslands, dessert, snow-capped mountains, and mega-glaciers. El Calafate is a popular expat city near the southern part of the Patagonian Ice Field. Here, you’ll find enthusiastic adventurers looking for bucket-list-worthy hikes and picturesque views. From El Calafate, venture to Los Glaciares National Park on the Chilean border to experience the magnificence of the Perito Moreno glacier. This nearly 100-square-mile ice sheet is the world’s third-largest reserve of freshwater, and the glacier is unique in that it is actually advancing in size. Tourists from all over the world clamor to stand among the magnitude of this natural phenomenon. If Argentina is on your shortlist of potential expat landing spots, you’re not alone. Tourist arrivals in the country were 5.56 million in 2016 and 5.92 million in 2017, approaching the all-time record of 5.93 set in 2014. This surge in overseas visitors last year contributed about $52 billion USD to the Argentine economy, accounting for 9.7% of total GDP and 9.6% of total employment. The tourism numbers are projected to reach nearly 12.5 million inbound visitors annually by 2027. Lifelong expats and frequent travelers know that this tourism trend is a sign of things to come. People are catching on. As the rest of the world realizes what a remarkable country Argentina is, traveler-friendly infrastructure will exponentially develop and improve. This also means that consumer prices are likely to rise accordingly. So for those pondering the idea of purchasing property in Argentina, you may never find a more lucrative time to buy.